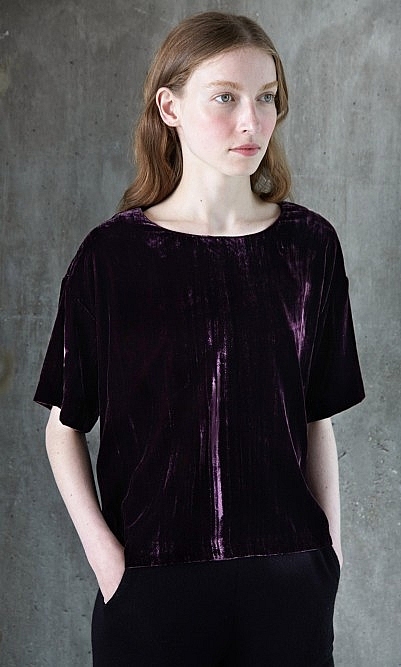 Berry-coloured top in crushed velvet. Boxy through the body with short cropped sleeves and simple round neck. L52cm. Viscose mix.